Audemars Piguet has quite an active video channel on Youtube and their latest video struck me like lighting. Just like when I saw the new Audemars Piguet Royal Oak ref. 15202 at the SIHH earlier this year. That caused me to buy a vintage Royal Oak ref. 5402, nicknamed Jumbo. This photo shows the sheer beauty of the Royal Oak’s dial and personally I have a preference for the 15202’s dial in favor of the newer ref. 15300 and ref.15400 dials. This dial, like that of the vintage ref. 5402, feature the so-called petite tapisserie pattern. When wearing the Royal Oak and getting a glimpse like this while wearing my old ref.5402, always puts a smile on my face. Here’s the video that simply rocks (quite literary!) 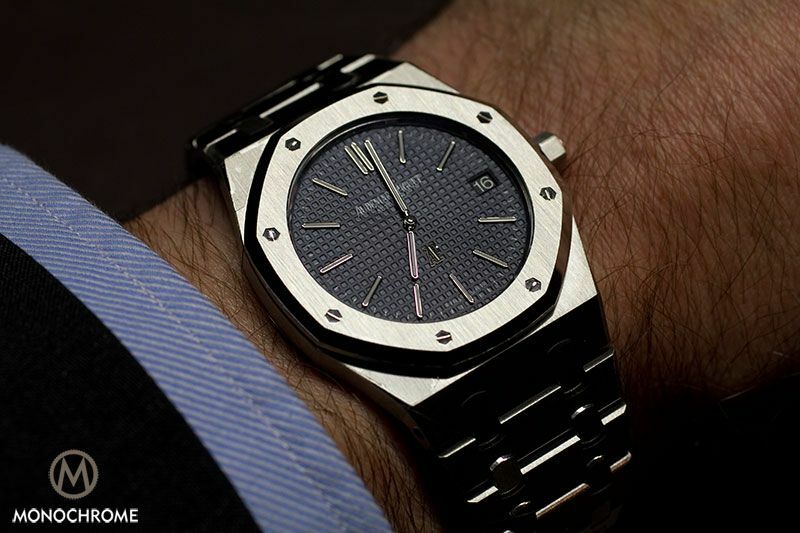 Just like the Royal Oak rocked the watch world, when it was introduced in 1972. 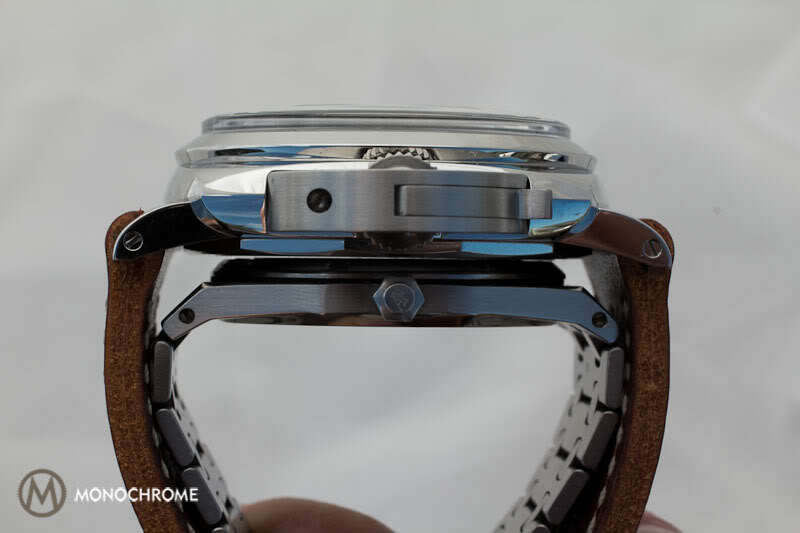 A sports watch in stainless steel, priced like a golden sports watch. When the designer, Gerald Genta, showed his new design to AP’s CEO, he didn’t quite see it. Luckily the Swiss and Italian distributors liked Genta’s design and ordered all pieces that Audemars Piguet could produce. Since this year Audemars Piguet bought the old machinery that enabled them to produce the dials with petite and grande tapisserie. The new Royal Oak ref. 15202 aka Jumbo features this petite tapisserie dial, while the other models like the various new ref. 15400 models feature the so-called grande tapisserie. The video below shows the production of the dials. The entire process is a very labor-intensive and makes the Royal Oak’s dial very exclusive and anything but a run-off-the-mill dial. 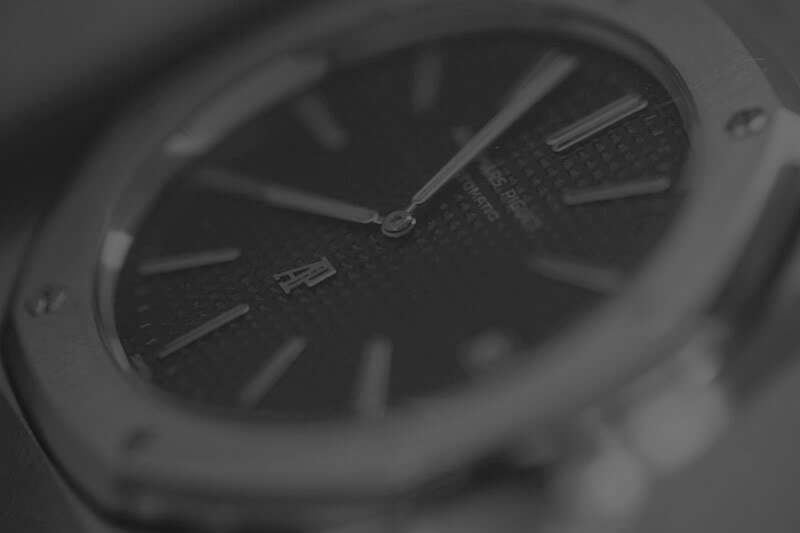 While making this photo, I decided I want one, need one… For me a vintage Royal Oak ref. 5402 was the answer that suited both my desire and my budget. There are of course other options for those who prefer the petite tapisserie dials, like the vintage ref. 14802 or the new ref. 15202. Happy hunting! 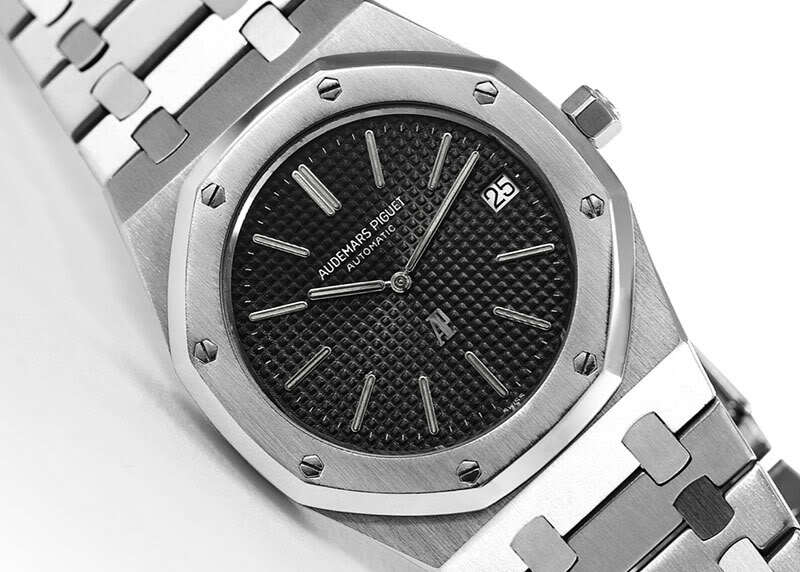 Check out the Audemars Piguet video channel at Youtube here. Love the top photo showing off the subtle indentations of this Royal Oak’s dial and face… Just perfect photography, in the watch business we get a lot of the typical forward-facing images but often at the expense of more unique angles like that, which can also tell us a lot about the details a specific timepiece may have which we would otherwise overlook. 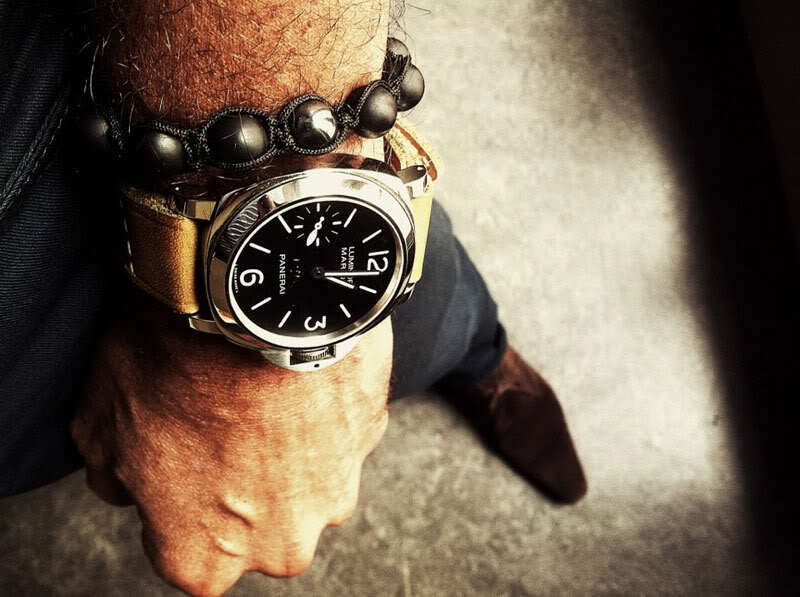 There is something about the RO compared to other watches. I have just bought a RO perpetual in steel & platinum & it is just so understated without being boring. As soon as I tried it on it felt industrial & high end. 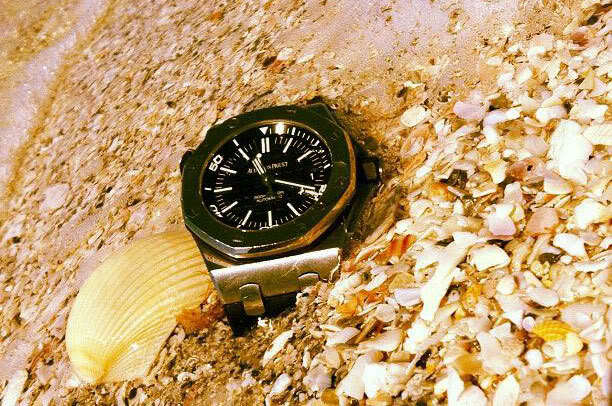 I have owned many watches from the top brands but the AP beats them all hands down!